It is always a delight when, at a concert, not only are you entertained by exciting and beautiful music, but you are rewarded by an intelligently planned programme. This was true in abundance of Canterbury Orchestra’s enthusiastically performed concert on Saturday evening. Each half had at its heart a set of variations and a supporting piece linked to it. Thus, the first half featured Tchaikovsky’s Variations on a Rococo theme preceded by the kind of 18th century music which had inspired him: Mozart’s Symphony 25 in G minor. This proved a challenging opening to the concert with its need for precision and balance and the players mostly acquitted themselves well with Andrew Lowen, the conductor, drawing out both the nervous energy of the seventeen year old composer and the remarkably mature emotions the piece evokes. The Tchaikovsky itself was a tour-de-force as the orchestra showed sensitivity and power in accompanying the hugely talented cellist Alisa Liubarskaya, who combined sheer brilliance of technique with a hauntingly lovely tone. It is a great credit to the wind section that, in this piece where so much of the music is a conversation between soloist and orchestra, they were able to match the virtuosity of her playing. The second half opened with Brahms’ Hungarian Dance No.1, its spirited performance highlighting that the composer could master popular music as well as high musical art in the St Antony Variations which concluded the evening. These were based on a tune which first appears in Haydn’s Divertimento No. 1, to which we were also treated, played splendidly by eight wind soloists – the ensemble was admirable, the phrasing intelligent and the sound tender and delicate. The Variations themselves proved a wonderful climax to a fulfilling evening of music. Here the strings, sharply led by the new leader, Daniel Bartlette, showed just how accomplished they are. Brahms’ melodic lines take tremendous concentration from players, in that they weave in and out of different sections, often creating a sense of perpetual, flowing, motion. 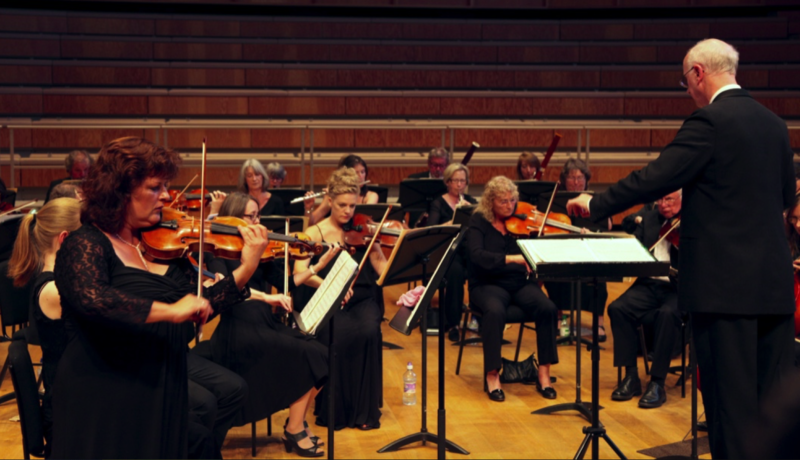 In this performance the resonant string sounds wove the music together to create an increasing sense of exhilaration until the final, resplendent statement of the theme had the audience on its feet.